With the rapid development of the power grid construction, power supply reliability requirements for safety more and more high, and in the power system, the improvement of the distribution network operation requirements and feeder automation (FA) the need to build a single function equipment in the application of the distribution network is more and more shows its inconvenience. From the development of the system and distribution network on. developed a series of using the modern electronic technology and communication technology, the computer technology,the sensor technology and network technology, will power distribution network real-time information, information, and the user’s information, power grid structure parameters for integration, have fault detection function, protection control function, the automatic measurement function, modern communication function and the event log function, can realize the automatic segmentation fault current, fast break fault isolation distribution node (FTU/TTU) intelligent integration switch is imperative. 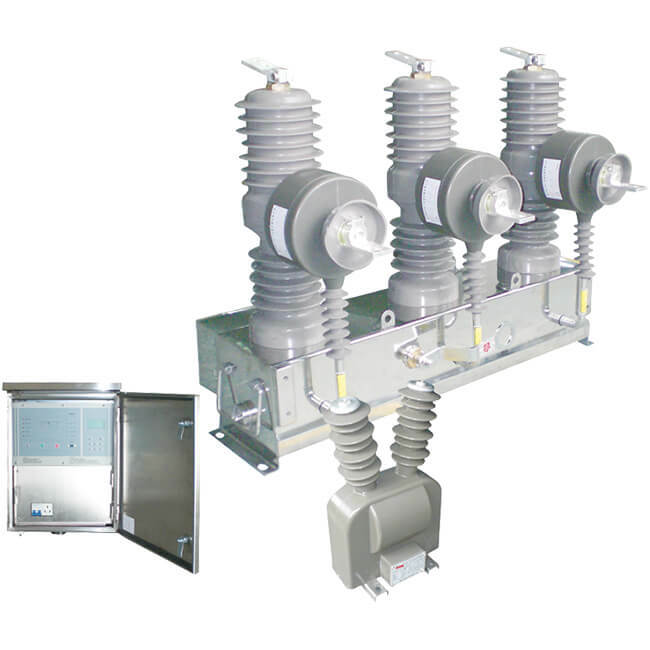 Based on this thought, the company developed the ZW32-12/M type outdoor permanent magnet type vacuum circuit breaker, widely used in the city grid as points off or contact switch, or used for rural substation to qualify as a distribution system outdoor switch, but effective points, and load current and short circuit current. Device configuration of the internal control and communication function measurement protection can fully satisfy the power distribution automation system requirements. Please send me more technical information and price for 11kv and 33kv pole mounted VCB. Thank you for your inquiry, please send me more technical specification requirement.